A beginners guide for how to export in Premiere Pro CC for Youtube. Best quality export settings for youtube keep that target bitrate up around 16 to 50 and select VBR 2 Pass. Lower that target bitrate and select VBR 1 Pass. 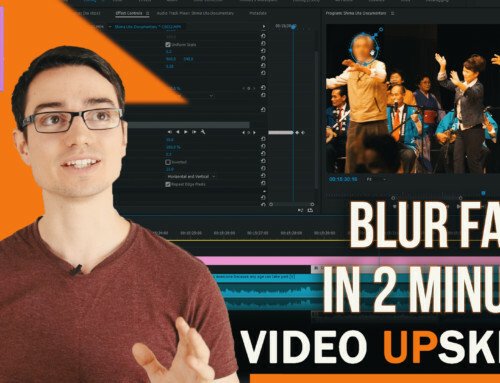 This will lower the quality depending how much you drop it but you will be surprised about how far you can go and still have acceptable quality so you can have a faster workflow. A lot of videos show you how to export best quality for youtube, in this tutorial I want to show you how to use Premiere Pro to export still in good quality and get faster export times and upload times when you want them. These are my video export settings for youtube. Learning the best setting for your type of youtube video is about using the target bitrate slider, this will reduce the file size and for some videos that don’t have much movement you can lower the bitrate and still not have a really noticeable drop in quality. Which results in a faster upload. For example if you are to upload a very long conference presentation to youtube and your internet connection isn’t the fastest, at a high bitrate HD video settings I would have to leave my computer on overnight uploading. Finding a balance on that target bitrate slider is a great solution to save you time and a little extra hard drive space. For export setting for youtube videos I upload anywhere between a target bitrate of 10 – 16. For super long 2 hour conference videos I will occasionally drop it to a bitrate of 3 or 4 if there is not much movement going on in the video. Pro tip: When sending draft reviews for jobs you can lower the target bitrate right down for a super fast upload. For promo and highlight videos with lots of action you need a high bitrate otherwise it will look super messy! Hope this quick tutorial on how to export in premiere pro cc for youtube was easy to follow and helpful, let me know if there’s anything you would like to learn, stay awesome! Disclaimers: I often review gear I use and link to products I regularly use and think you might find helpful. To support the channel, I use Affiliate links wherever possible, which means if you click one of the links in this video or description and make a purchase I may receive a small commission. Thanks for the support!